COLUMBIA, SC (WIS) - Legislators are looking to help curb the growing problem of heroin and opioid addiction through several pieces of proposed legislation. 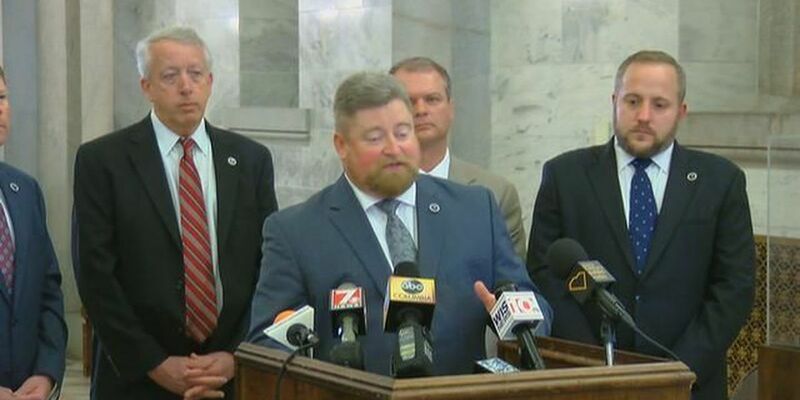 State representatives unveiled a 10-point proposal on Wednesday morning in an effort to curb the ongoing nationwide crisis involving abuse of the drug. Rep. Eric Bedingfield, a co-sponsor of the bills, has a unique view on dealing with heroin abuse. Bedingfield lost his son to abuse almost a year ago. "My son struggled with a pill problem that turned into a heroin problem which eventually took him from the Earth after just 26 years," Bedingfield said. "This is not a place I thought I'd be standing. I never thought my family would be a family who was affected by this type of problem." Bedingfield and legislators believe heroin and opioid abuse starts with prescription drugs. The bills would attempt to combat abuse through education, controlled substance take back programs, and change the way prescription drugs are prescribed by physicians. "It doesn't start off with something off the black market and illegal and sold in a twisted up plastic bag," Bedingfield said. Bedingfield says that despite his conservative beliefs, even he realizes he needs to think outside the box. "We have gotten to a place in society and in our state where we have to start thinking like the people who are hurting more than just middle-class American citizens who have a wonderful life," Bedingfield said. Other bills filed include the plan to allow pharmacies to register as drug collectors to receive illegal drugs to turn over to law enforcement. There's also a bill in the Senate that's gaining traction, that would impose stricter punishments for drug dealers.